"No matter how insulated we are by wealth or friends we can all expect to undergo some form of loss, failure or disappointment. The common reaction is to bear it as best we can - some do this better than others - and move on with life. 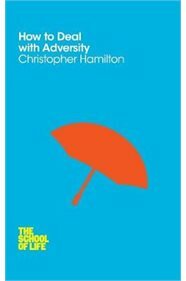 Christopher Hamilton proposes a different response to adversity. Focusing on the arenas of family, love, illness and death, he explores constructive ways to deal with adversity and embrace it to derive unique insight into our condition. Offering examples from history, literature and science, he suggests how we might recognize it as a precious source of enlightenment, shaping our very existence. One in the new series of books from The School of Life, launched January 2014: How to Age by Anne Karpf How to Develop Emotional Health by Oliver James How to Be Alone by Sara Maitland How to Deal with Adversity by Christopher Hamilton How to Think About Exercise by Damon Young How to Connect with Nature by Tristan Gooley"